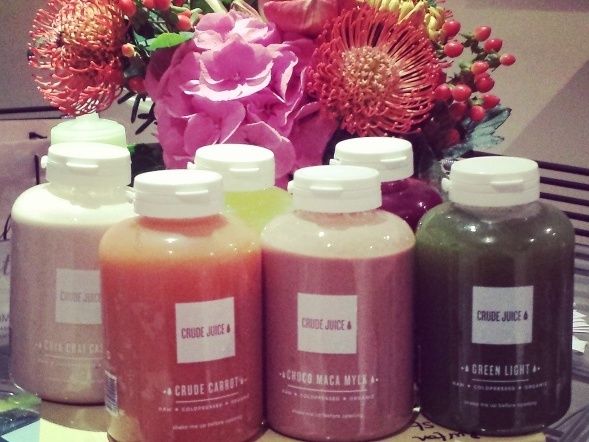 Cold pressed, raw and organic juice cleanse company made and delivered in London. Crude Juice is available in an increasing number of places – at time of writing it is stocked at the Albion Cafe, Frame Shoreditch, Celestine Eleven and more to come…. also look out for a pop up in 2015 in Old Street Station! 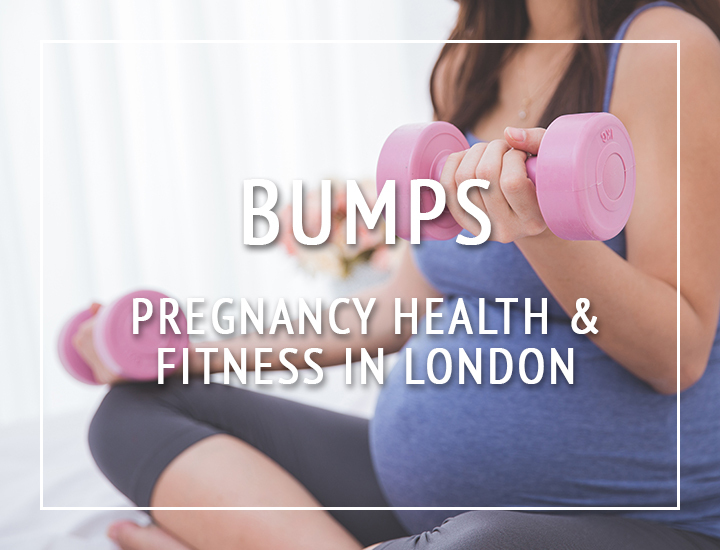 Delivery is available to a broad range of London postcodes. CHOCO MACA MYLK: Cashews, Dates, filtered water, lucuma, maca, raw cacao nibs, raw cacao powder, vanilla, himalayan sea salt. 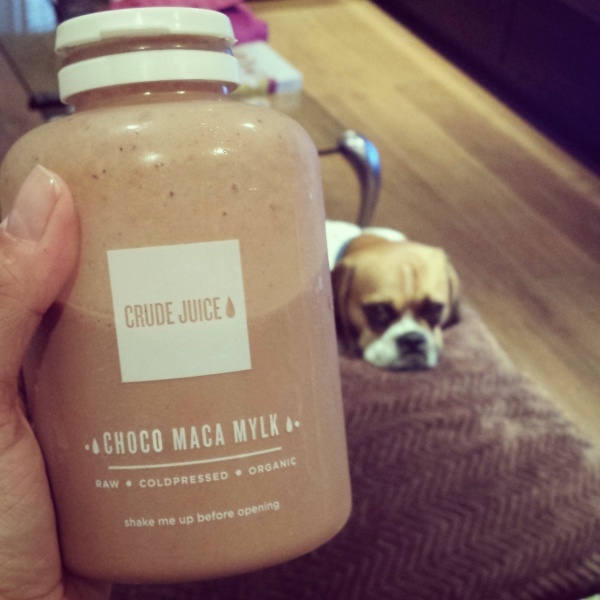 Crude’s Choco Maca Mylk is just simply the best I’ve had! (so far!) Battling with my chocolate addiction has been an issue in losing weight – there is nothing more tempting to me than a lovely sinful milkshake from Tinseltown…. but honestly, hand on heart I am happy to never have one of those again if I can have this instead! Overall I was really impressed with all of the flavours from Crude, all the juices were tasty and full of flavour, the Green Light that I tried was actually very drinkable and not a chore at all! I would order another boxful without hesitation. I really really liked them. Oh and I’m jealous as I work out regularly at Frame Queens Park and not their Shoreditch studio so I don’t get to have them all the time. Dammit. HOW MUCH? : I chose the Tasting Box which contains 6 x 500ml juice for £50. There are lots of other options so go check it out… there is also a 20% Autumn discount advertised on the site at the moment so get in there quickly!